Sea turtles come ashore to rest. They've lost all fear of humans and predators. What I saw today. The Shoreline Trail and Kalahuipua’a Historic Park in the Mauna Lani area of the west (dry) coast north of Kona, and Onomea Bay area of the northeast (wet) coast north of Hilo. Two morning hikes before the skies opened up their floodgates. Beehive Ginger, Hawaii Tropical Botanical Garden, back for a second visit to my favorite place. 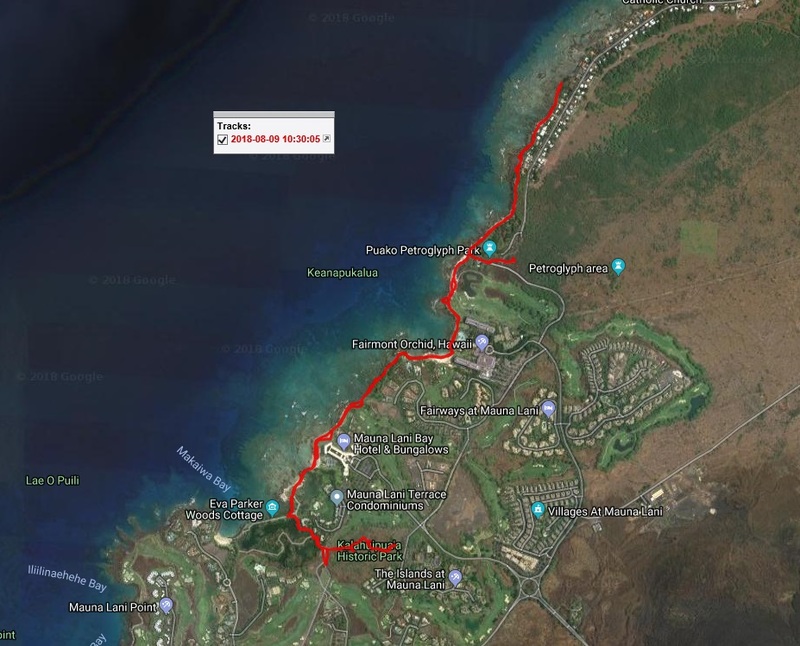 Here's the GPS Track of my meanderings in the Mauna Lani area. The trail fizzles out at private residences with sea walls that jut into the water on the north, but the Shoreline Trail continues south for several miles - exploration for another day.